"Very friendly and very fast. They even surprised me with a thank you gift which took me by surprise. Thanks!" "Great installers, cleaned afterward and carried old furnace off. " 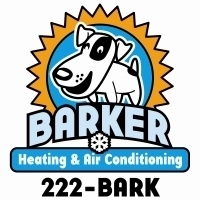 "I have been a Barker Heating and Air customer for 47 years. Good work. Thank you. " "Very happy with everything. Thank you. " "Very pleased with every aspect of the work performed from start to finish regarding installation of the new heating/cooling system and follow-up. " "My sister in law, Nancy, was very impressed with everyone and everything; just as we were. " "The technician was prompt, courteous, and friendly and provided helpful maintenance tips. " "The service tech did a thorough job and answered all my questions."